Follow all your favorite sites, blogs, and more, all in one place. See what your friends are sharing, and easily share any interesting articles you read. 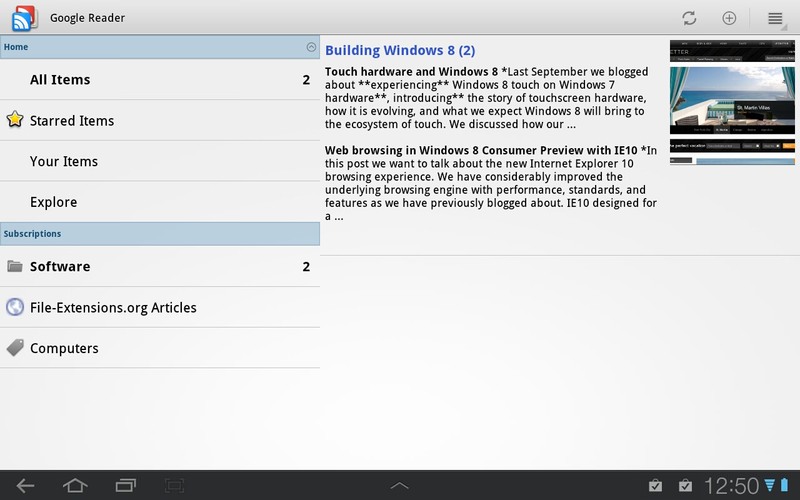 The Google Reader app syncs with the web version, so all your reading lists are always up to date. The Google Reader for Android software seems to be old or discontinued. If you need more information please contact the developers of Google Reader for Android (Google Inc.), or check out their product website.